We are general contractors that specialize in Kitchen, Bath and whole home remodeling, and additions. Custom renovations, installations or repairs. Approved contractors for Loews. Efficient professionals for every home - satisfaction guaranteed. Will beat all competitive quotes. Please contact for your free estimate. One side of him is architecture; the other side of him is construction. Chauncey Meyer actually delivers results on both sides. He has co-owned his construction company for half of his career. Providing the same quality and service to his clients for conceptual development through final construction. As a second-generation contractor, his experience in the trenches allows Chauncey Meyer a keen insight through the entire process. Thus, avoiding many of the redesigns other architects would never see coming. When you live in a dated space, it’s easy to consider what it would be like to live in a more modern space. Perhaps your dream home has elements that you’ve seen in neighbors’ homes or on home improvement programs on television. Don’t sleep on your vision. Let the contractors at Blue Mountain Renovations, LLC of Tucson, AZ turn your daydreams into a reality with home remodeling services. 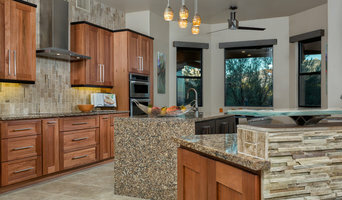 True Build is a boutique design firm based in Tucson, AZ, specializing in luxury spec homebuilding, design builds, and remodels for homeowners and commercial properties. Founded in 2012, True Build has already had repeat customers and created many raving fans. 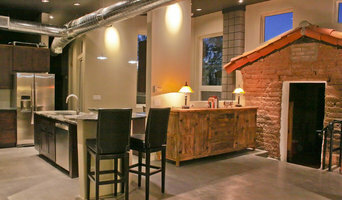 From small bathroom remodels projects, to million dollar new builds in the Foothills and Dove Mountain, they do it all. Walter Ayala has over 30 years of experience in residential design and solutions. 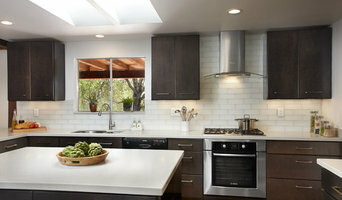 Home remodels and redesign solutions for every space. New home construction or additions. Walter has experience in New York and Arizona as well as all over the US. I have practiced architecture in Arizona and Colorado for more than 30 years. My designs have ranged from home remodels to large office buildings. These days, my practice is mainly residential design. My goal is to help people maximize the livability and value of their homes, whether it’s an existing home or the new custom home of their dreams! If you are looking for a kitchen update, a complete home makeover, or a brand new home design, I would like to collaborate with you to realize the full potential of your home. Graduate of Rice University, Houston, Texas, 1975. 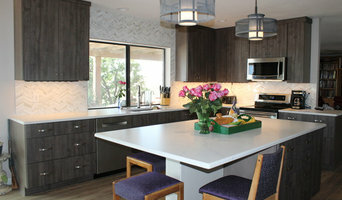 Ace Remodeling has been serving Tucson's remodeling and repair needs since 1998. Need some space call Ace, got a repair Ace will be right there. Licensed, Bonded and insured. Friendly workers that listen to your needs and pay attention to detail. RANDEL JACOB DESIGN GROUP IS NOW DOING BUSINESS AS RJDG COLLABORATIVE As our opportunities have grown and allowed us to practice outside of our local market, and more diverse market sectors, we realize that our success is tied to a PRODUCTIVE, AND POSITIVE COLLABORATION With our Clients, Consultants and Trade Representatives. Our new operating name reflects this exciting trend! Ken Samson, founder of KS Classic Homes, has earned a reputation as a highly experienced and well respected homebuilder in Southern Arizona. With over 25 years of experience and knowledge, from building high-end communities throughout Northern California to high-end custom homes in Arizona, Ken has created a positive home building experience based on integrity and commitment to client satisfaction. Working one-on-one with clients, whether local or out-of-state, beginning at design and following through every stage of construction until completion ensures a level of quality that surpasses all expectations. Founded in 2002, KS Classic Homes has built high-end custom homes in several luxury such as Stone Canyon, Canyon Pass, Honeybee Ridge, Ridge at Solano, La Reserve, Reflection Ridge, Rams Canyon and Canada Hills Estates.